Anyone who knows me might say, among other things, "This guy loves maps." That is true. The other day I got to thinking about why I started making maps at all. Katie and I used to live in Bucktown right on Armitage and Western. 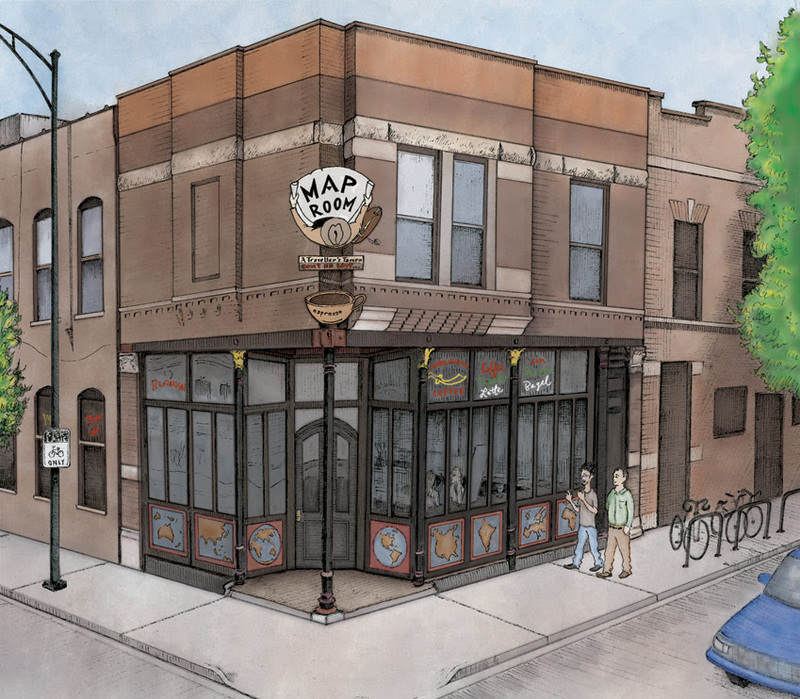 There were two places nearby that we loved: Margie's Candies, a 100-year old sundae shop offering up huge servings smothered in homemade chocolate; and the Map Room, one of the great pioneering beer bars of this city. Around 2009 or so I was in the Map Room drinking with my longtime friend Matt. Looking at the maps plastered all over the walls, I was struck with an idea to make a map of the city's best beer bars. I went on to research and ink that map, Katie colored it, we released it to the public, and it got some nice traction. It was a lot of fun and it took us to some new corners of the city. As the years passed, other beer bars popped up everywhere, ordinary bars started calling themselves beer bars, and worst of all, some of the bars that were on my map closed. So, like many maps, it faded and became a snapshot in time. Nonetheless, I love the fact that this map is one point in time that I remember well. there are some Easter eggs in the map that are fun to revisit. For example, I drew two of my friends who first introduced me to beer better than Yeungling. Here's Tom and Jim (below), talking and walking outside The Map Room. Earlier this summer, I decided to make a departure from my typical style. I wondered how I could reduce the city of Chicago to a very minimal presentation while preserving some soul of the city. That led me through many, many drafts, some using criss-crossing lines, following its grid-like pattern of roads. I finally settled on a design that showed some continuity from the horizontal streets through to the waves of Lake Michigan, and was happy with the outcome. Here's the print in final form. 18" x 18" on heavy French Paper. Available on my site here. It was a great honor to have Runner's World feature the Cape Horn marathon maps. If you or your friends and family are running a race this Fall, let me just say Good Luck. My hat's off to you. I haven't run a marathon since the Chicago Marathon in 2013 and every time I think about doing another one I pass out in fear of mile 18. If you're running this year, get in touch and I'll get you a good deal on a framed marathon map print. Runner's World article is here. 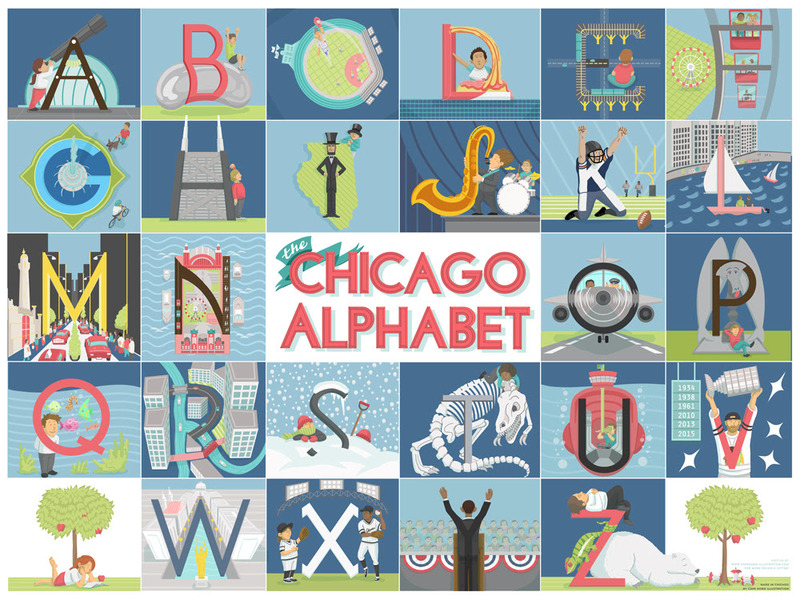 It was also a huge honor to have the Chicago Alphabet featured in an article by Patty Wetli of DNAInfo! She does great reporting on news in the neighborhood and in the greater Ravenswood area. Read about the origins of the print and some of the early scratch-work and sketches. If you're local, find my work at the great shop, Neighborly, on Montrose and Damen. I've always loved their selection of well-designed, locally sourced products, and I'm proud now that my work is part of their lineup. 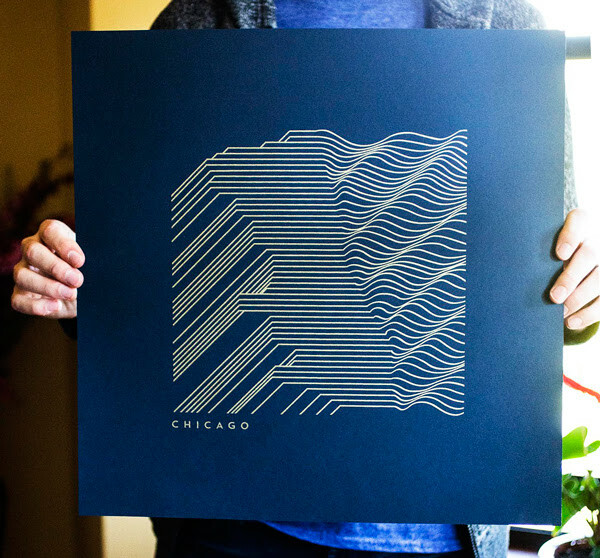 That includes recent releases like the Minimal City print and the Chicago Alphabet. Thanks for making it all the way to the bottom, dearest reader. You can get to my site this way.